In warmer waters a simple wetsuit is all you will need for your dive. Most of your heat is lost through your head so when diving in cooler waters it is recommended that you wear the best dive hood as well. This will do a lot to ensure that your dive is more comfortable. We have compiled a list of our ten favorites to help you find the best scuba diving hood for you. This NeoSport Hood comes in sizes ranging from extra small to double extra large which ensures the best fit possible for your body. A highly developed material allows air to pass through, making sure a skin tight fit, while not allowing any water to seep in. The seams are stitched and glued which also don’t let water in. The 5/3 thickness allows you to dive in cold waters without worrying about being affected by the elements. 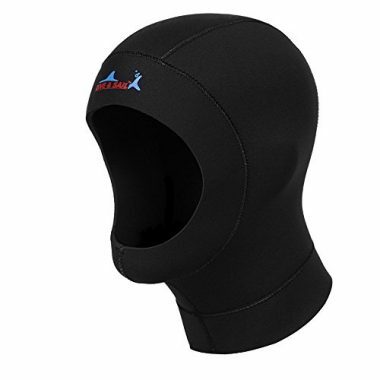 This wetsuit hood is beanie style attaching with a velcro chin strap which avoids a claustrophobic feel. Coming in a variety of sizes you can easily adjust the chin strap even with gloves on to give you a comfortable feel. Coming in a high-vis color allows you to easily be seen underwater. Flat seam stitching fits comfortably against your skin allowing you to have a comfortable feel. This is an ultra lightweight scuba hood that is meant for diving in warm waters. While warmth isn’t the main goal of this dive cap it does offer some added protection. This hood offers UV protection as well as protects your head and face from jellyfish and other sea irritants. Coming with a one year warranty this hood will protect divers as well as snorkelers with UV 50 protection. Featuring top of the line technology along with a choice of two thicknesses and four sizes the Lemorecn hood will have you protected no matter where you dive or the shape of your body. The inside features a soft material that not only insulates your head but also makes it more comfortable. 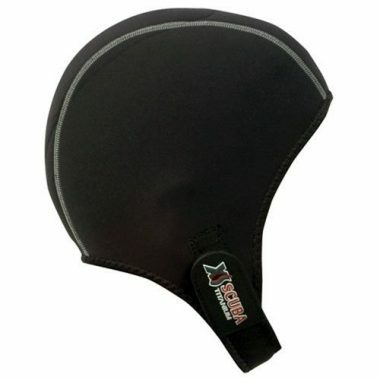 This thick wetsuit hat is 3mm thick allowing it to be great for cold water. An adjustable drawstring allows you complete control to make this hood as tight or loose as you need. Completely wind resistant this wetsuit sits smoothly against your skin giving you a comfortable feel. Glued and blind stitched seams ensure this hood will last you many years to come. This 1.5 mm thick O’Neill hood will not only keep you warm but also protect you from the UV rays of the sun. It can be used from snorkeling to surfing and everything in between. This is a perfect inexpensive addition to your gear that will make warm water dives more comfortable and allow you to dive for even longer. 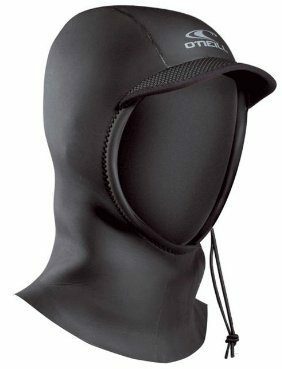 This may seem like a simple hood but it will provide excellent protection and warmth when diving. A flatlock seam system reduces bunching and water from entering. 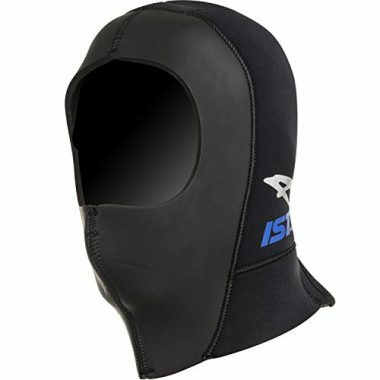 Use this hood for scuba diving or even white water rafting – it is a high-end option for a great value. This heavy duty thick dive hood is great for cold water dives. A rear zipper makes it easier to get in and out of this dive hood. A double layered top panel has venting allowing air and water to escape better regulating your body temperature. Strong seams allow you to have the most protection. 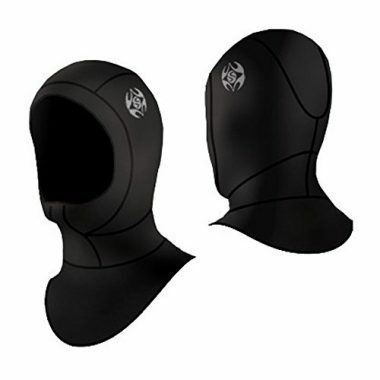 This top wetsuit hood acts as a lightweight, non-constricting layer for your head that protects you from the sun and other underwater irritants. This thin cap fits comfortably over your head and avoids the tight and headache inducing feel of neoprene hoods. 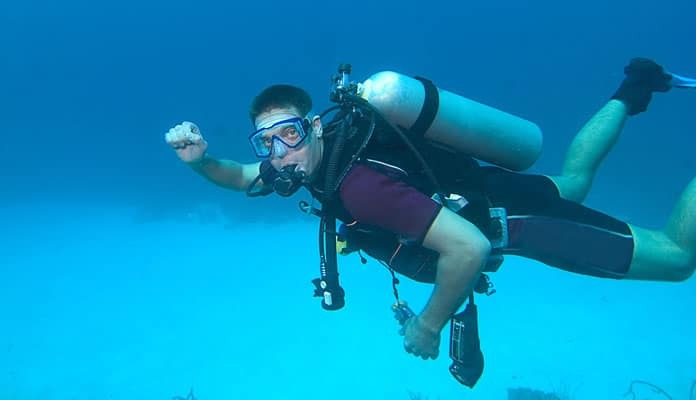 A neutral buoyancy allows you to not be weighed down underwater. A stretchy design has a wind resistant, water resistant and is incredibly breathable. 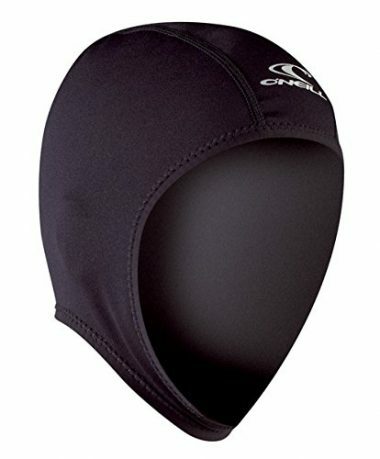 This beanie style scuba cap will ensure that your head is well protected during your dive. Keeping you well insulated, this cap will ensure you have the best fit with a completely adjustable chin strap. A flatlock construction keeps you comfortable with a seamless feel. Whenever you are wearing any type of clothing, you want it to fit well. The same is true with a diving hood, but you should also keep in mind that a hood is supposed to fit tightly. You want to trap the water in the hood, and the best way to do this is with a tight hood. If a hood is too loose, then more heat is going to be lost. A loose hood will also feel unnatural if it is moving about when you are in the water. 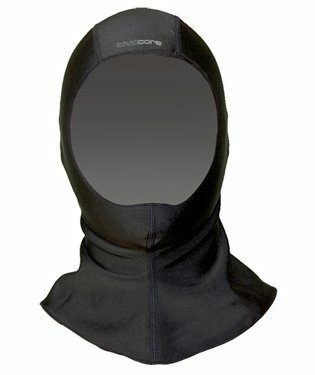 The temperature of the dive will dictate the type of hood you need. If you are diving in cold water, then you are going to want a cold-water suit. 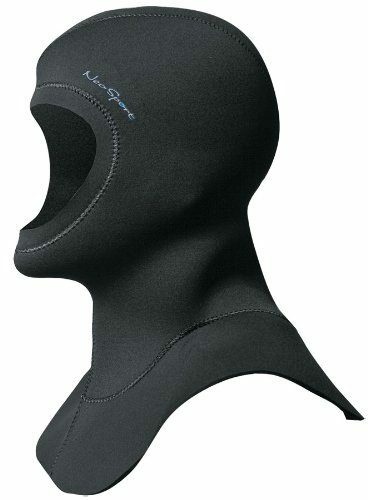 If you are diving in warm water, then you are going to want a warm-water hood. Within that, you will want to select a thickness of hood. The thicker the hood, the more insulation it will provide. The temperature of the water will dictate the thickness of the hood which you should wear. If you are diving in temperatures of 70 F and above, then choose a hood which is 1-3mm thick (or a beanie for extremely warm water). For temperatures between 60-70 F, you will need a hood 4-5mm thick. For temperatures dropping as low as 50 F, you will need a hood 6-7mm thick. Warm-water hoods are generally thinner than cold-water hoods. They do not usually have a large bib which can be tucked into your wetsuit as they do not need to limit the heat loss as much. Warm-water hoods are made from neoprene or nylon. Nylon is thinner and does not provide as much insulation as neoprene. Warm-water hoods do not cover as much of a diver’s face as a cold-water hood. Cold-water hoods are usually made from neoprene, and they cover your entire head and neck. They help to ensure that your body temperature does not drop quickly in the cold water. Cold water hoods also generally have a large bib which can be tucked into your wetsuit where the neck opening is. This helps to reduce the transfer of water in the suit and helps to keep the heat in. Cold-water hoods also cover more of the diver’s head. They usually cover a lot of the forehead, jaws, and cheeks. 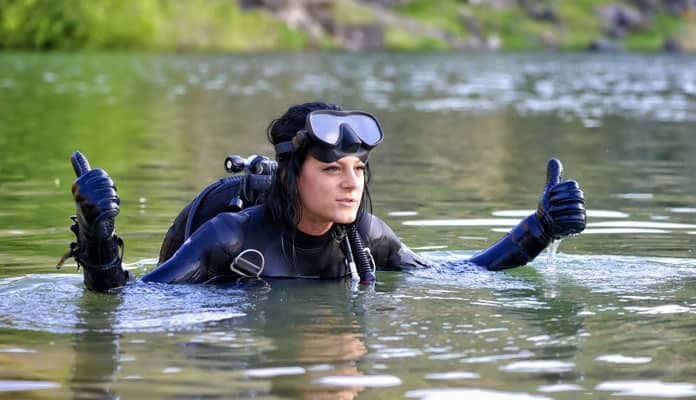 Do you own a wet suit or dry suit? If you own a wetsuit and are diving in cold waters, then you will want to choose a hood with a bib which can be tucked into your wetsuit. You will want to do the same with a dry suit, unless the dry suit has an insulated neck. In that case, you want a hood without a bib. Q: Why Do I Need A Dive Hood? A: It does not matter if you are diving in a cold climate or a warm climate, your temperature will still drop in the water. A drop in body temperature of a few degrees can be critical and can lead to complications such as hypothermia. 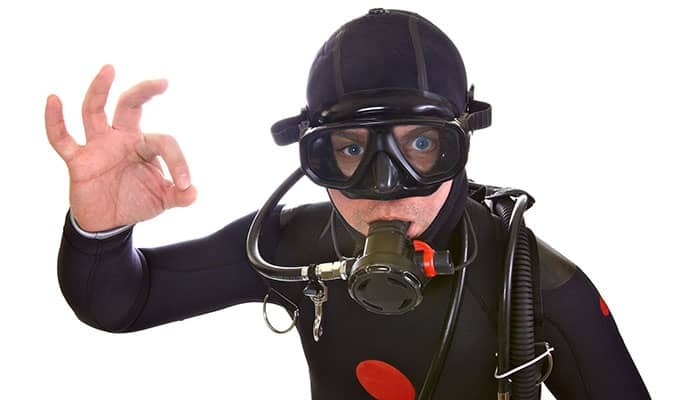 When divers are diving, they almost always wear a wetsuit. This stops the heat escaping from the body. It is the extremities with are often forgotten about. It is important to cover all of your body, especially when it is cold, or the heat will escape. The hands and the head are often forgotten about. By wearing a diving hood, your head is insulated, and your body temperature does not drop as quickly as it would without one. This ensures that you remain safe in the water. Your body will stay warmer for longer, and you will have more energy and less fatigue. 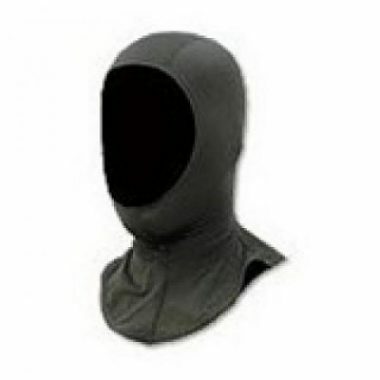 The other advantage is that a hood provides a small barrier against impacts and abrasions. Q: How To Maintain My Dive Hood? A: When you are done diving, you want to take care of your hood to ensure that it lasts for a long time, especially if you have been diving in salt water. If you leave the salt in the dive hood, then not only can it degrade the hood, but it can also irritate your head. After your dive, you should rinse the hood off with some fresh water. This will remove any dirt and salt from the hood. You should also make sure to rinse inside and outside of the hood. When the hood is rinsed, you should let the hood dry before placing it into storage. If you are putting your dive hood into storage for a long time, then make sure that it is dry before doing so. Store it out of direct sunlight, and make sure not to store it under a lot of weight. 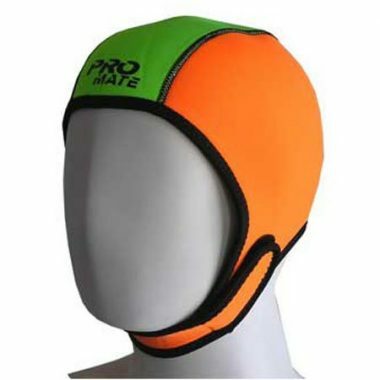 Dive hood reviews agree that having even when diving in warm water wearing a cap on your head will ensure you are safe from UV, jellyfish and other underwater irritants. The thickness you choose to get should depend on the temperature of water you are diving in. Having the best dive hood will make your experience underwater much more enjoyable. Do you have a dive hood on our list? Let us know how you like it in the comment section below.